Lilith, the embodiment of female-power based on the religious myth of the first woman created with Adam as man’s equal. The origins of Lilith are shrouded in mystery. 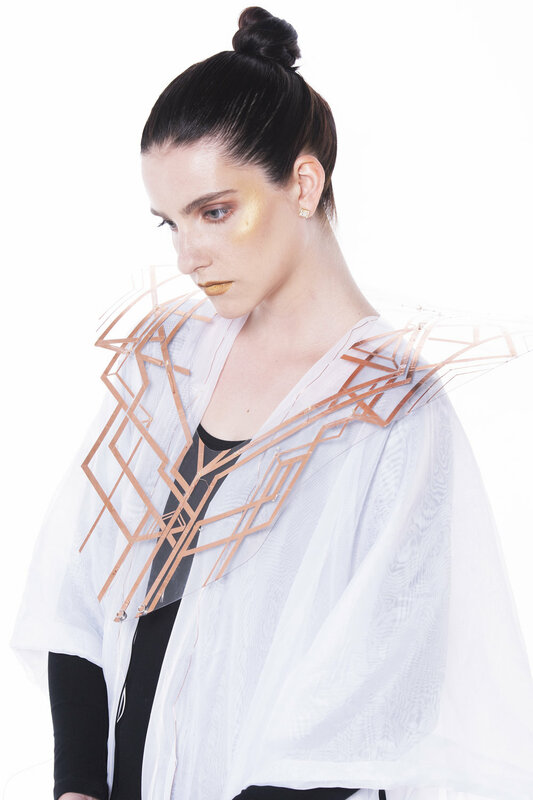 The curation of this project is inspired by the message of female power brought by Lilith and it’s designed during a 5-days interactive wearable workshop called “Heterotopian Bodies” conducted by Ava Aghakouchak. This wearable piece serves as a powerful statement and allows the wearer to ‘speak their mind’ with a statement piece of clothing. The circuit in the ‘halo’ reacts to movement and lights up through ‘power poses’, as a sign of empowerment. This interaction is created using conductive thread, self designed circuits, sewable components and other electronic parts.